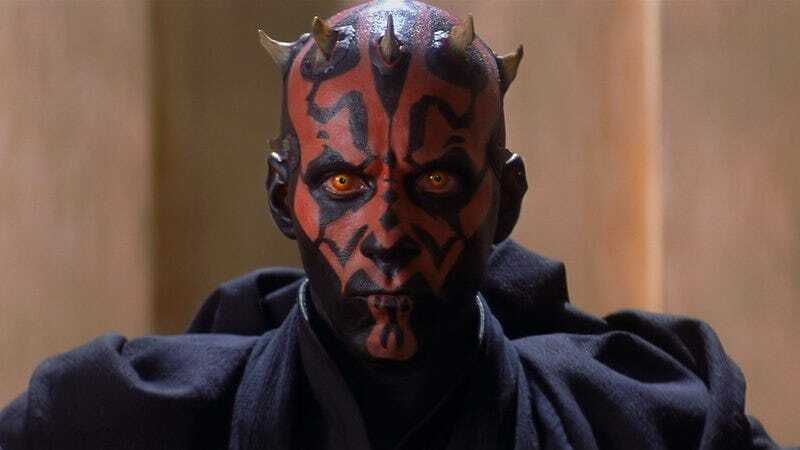 The Star Wars movies have a long history of interesting makeup, like Ian McDiarmid’s Emperor Palpatine face, Natalie Portman’s Queen Amidala face, Darth Maul’s whole thing, and the gold paint that makes Anthony Daniels’ robotic exterior look so shiny. Now, to promote The Force Awakens, CoverGirl will apparently be releasing official Star Wars-branded makeup. It’s not going to help you put rows of spikes on your head, or give you that regal paleness that an esteemed member of Naboo’s royal family requires, but it will let you put stuff on your face that’s in a Star Wars-y hue. Word of CoverGirl’s Star Wars line comes from fan site Rebel Scum (it’s a Star Wars fansite, not a CoverGirl fansite), which received photos of the makeup and various promotional images from some undisclosed source—you can see the photos at that link. The items include names like “Empress” and “Jedi,” and they offer suggested looks with names like “Apprentice,” “Storm Trooper,” and “Chrome.” Some of them also feature Star Wars quotes, both old (“Do or do not, there is no try”) and new (“There has been an awakening”). If all of that still isn’t enough to convince you to buy some Sith mascara and keep it on your shelf in an unopened box, each package also apparently includes a coupon for $5 off a Force Awakens movie ticket. As always, there’s a possibility that all of this is fake, but if not, it’ll most likely be in stores around the time that a coupon for $5 off a Force Awakens ticket is actually worth something—so, December-ish.